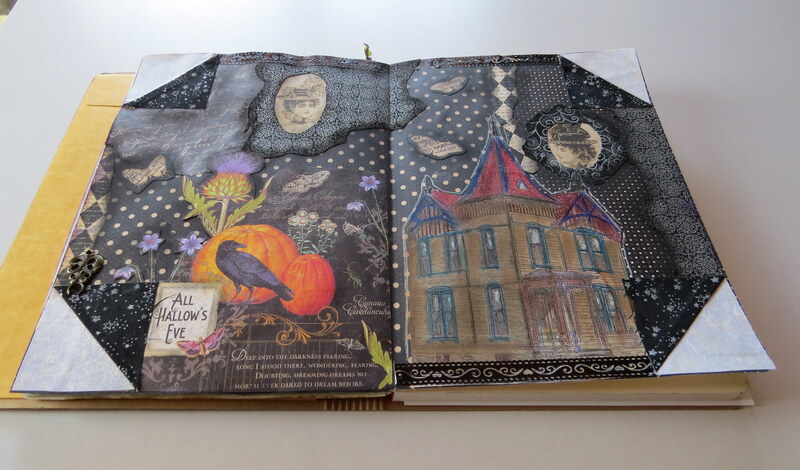 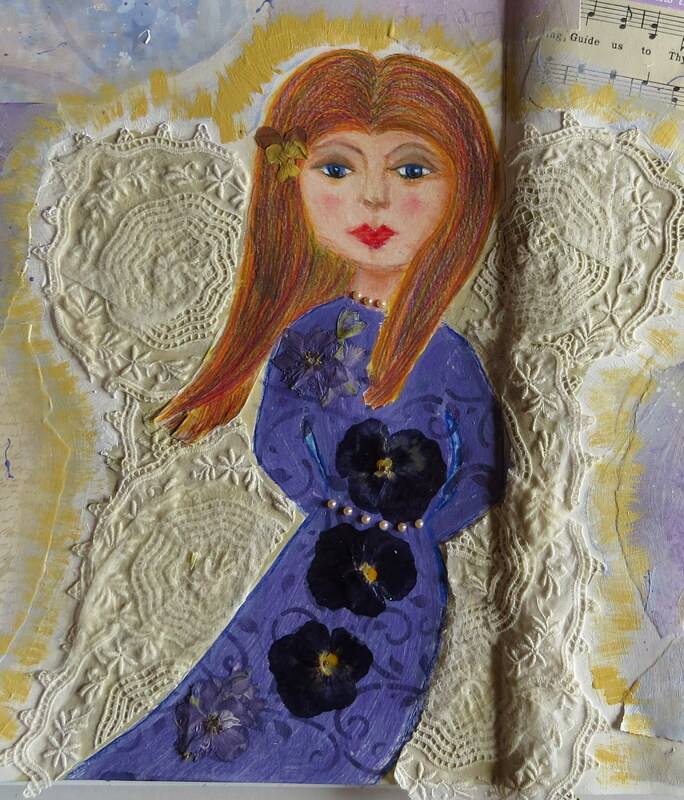 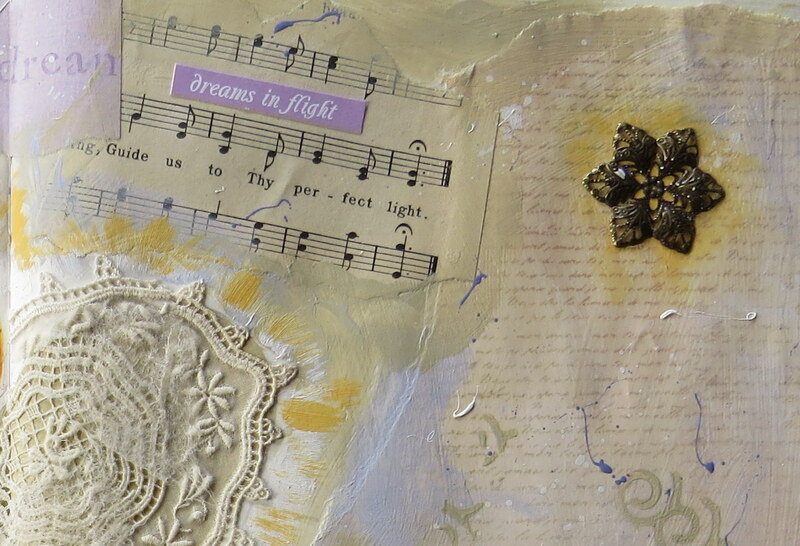 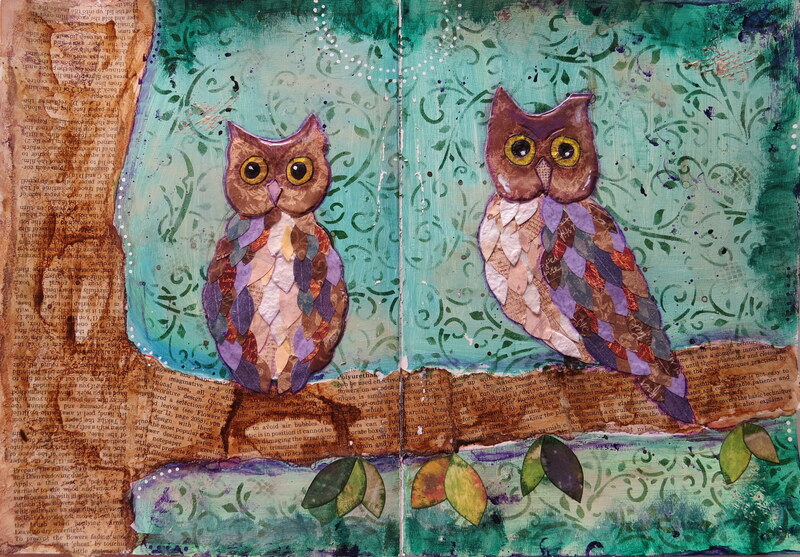 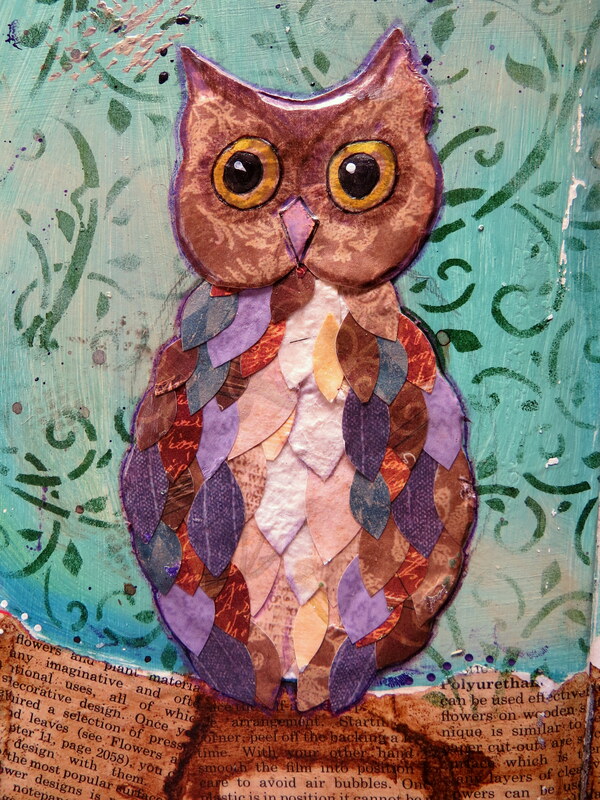 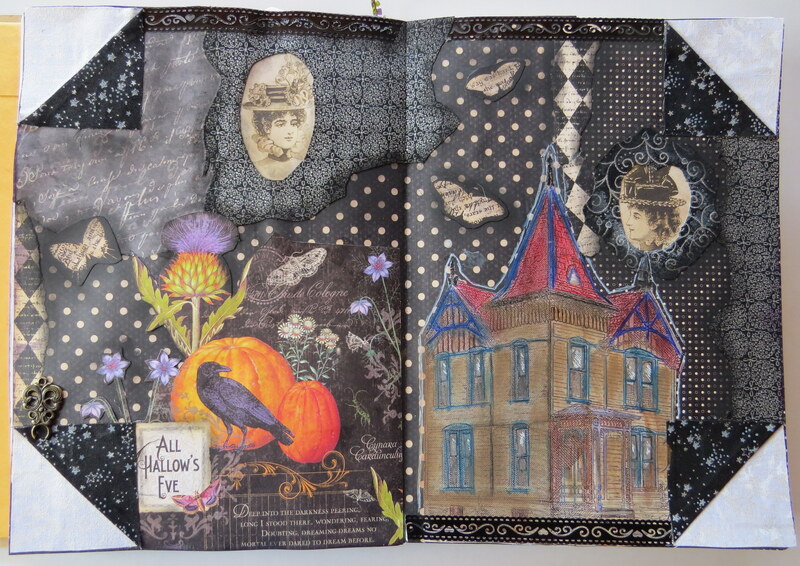 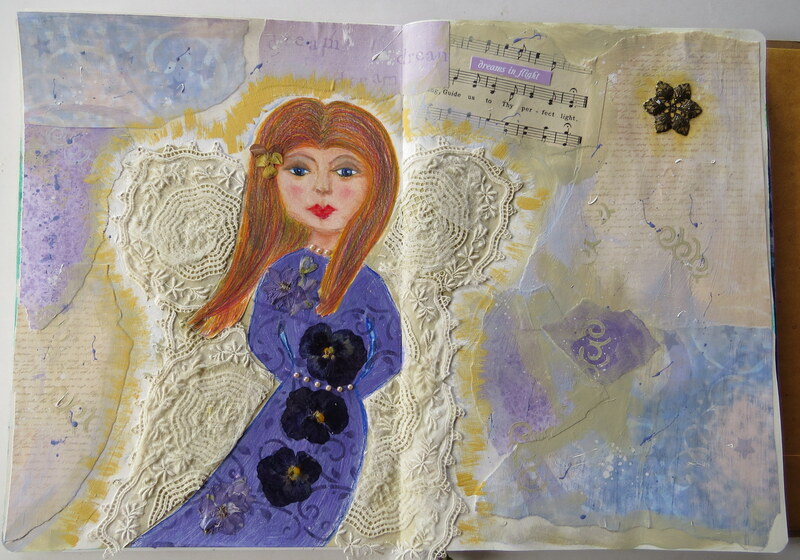 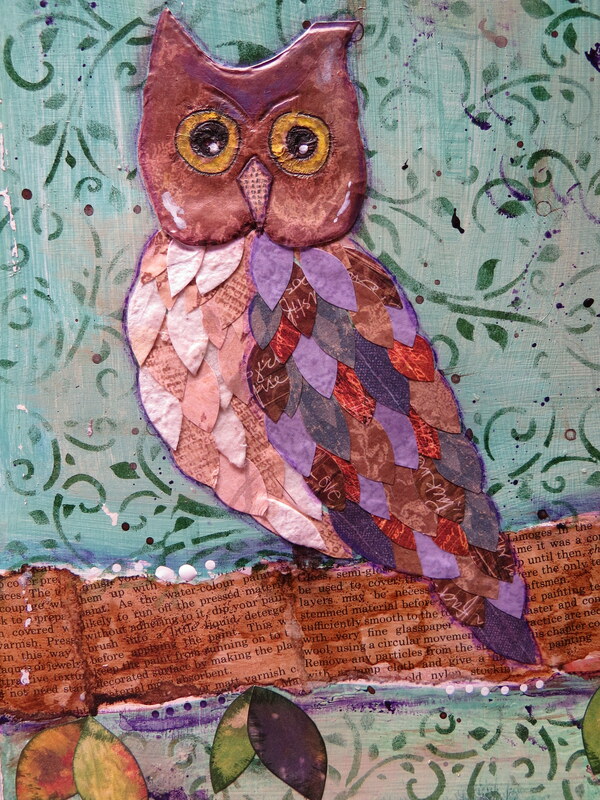 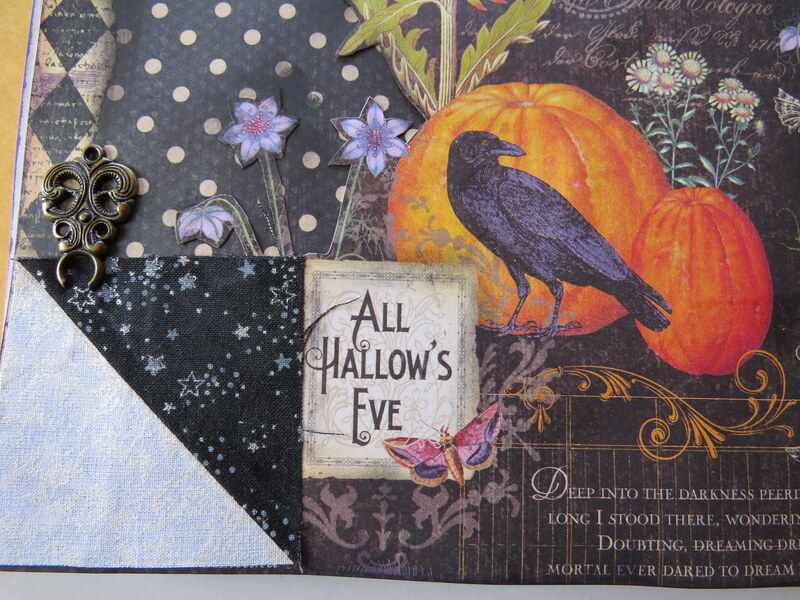 This art journal page reminds me to look for the magic in the everyday (or night). 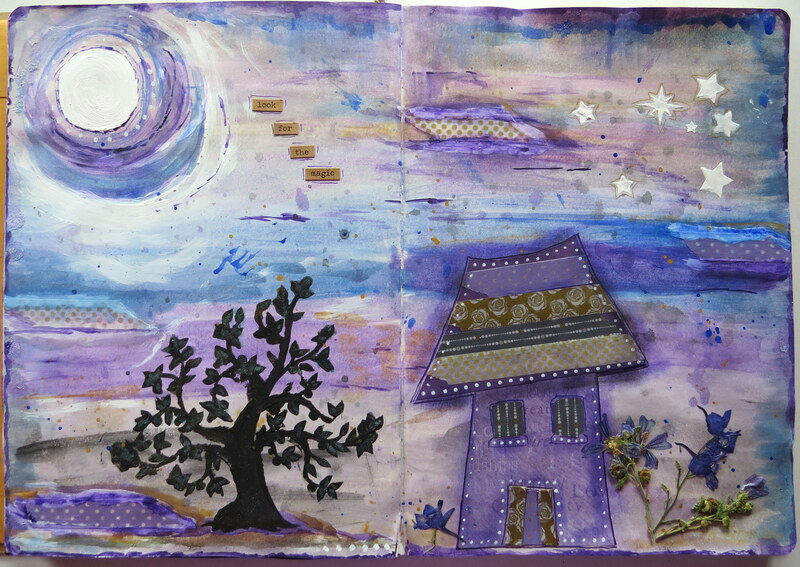 A full moon surrounded by swirls of violet cloud, a garden bathed in moonglow, the brilliant light from a distant star, the changing colours of the seasons as trees shed their leaves and plants lie dormant, then a new cycle of growth begins all over again. 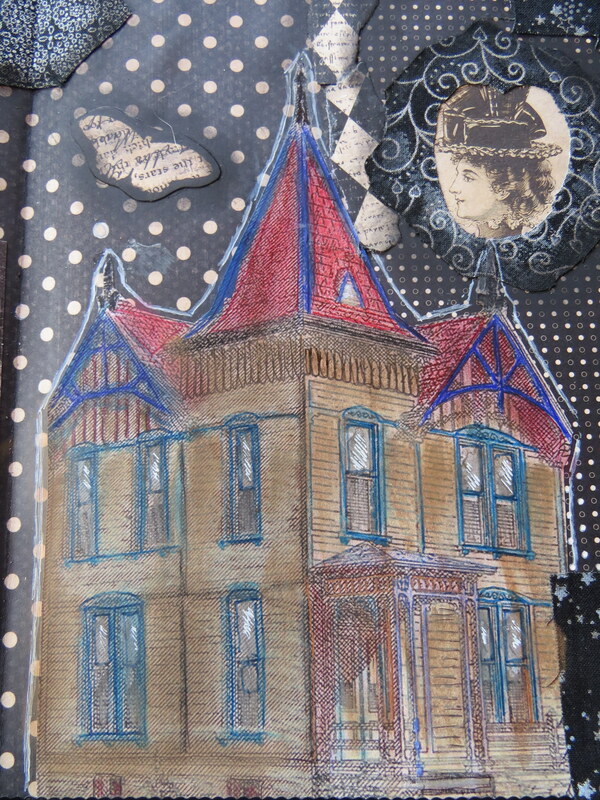 The feelings of comfort and belonging inspired by a little cottage; a sense of home, of occupying my own little place in the universe. 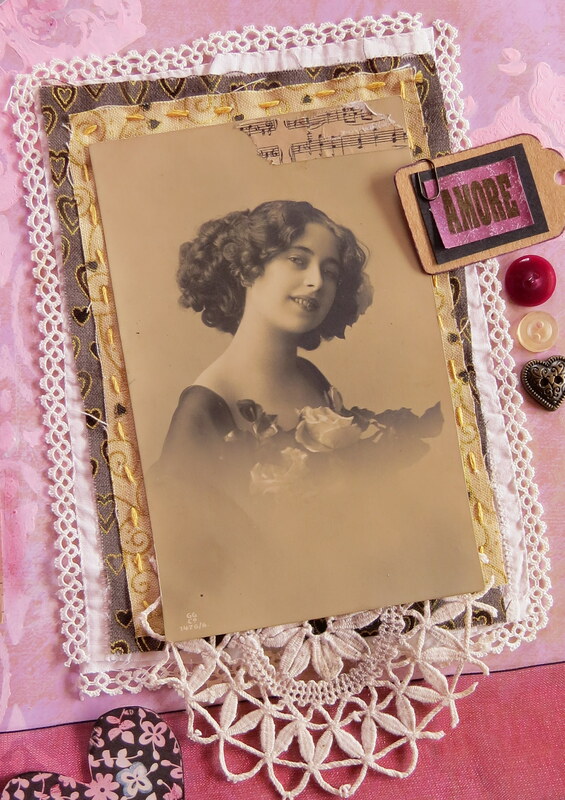 I have had this wonderful vintage postcard in my collection for a while now and thought it would be perfect to use on a Valentine’s Day project. 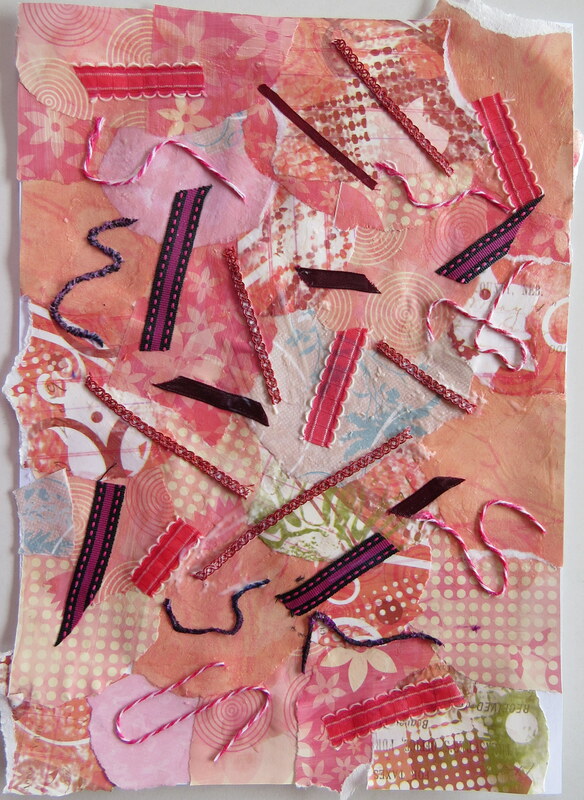 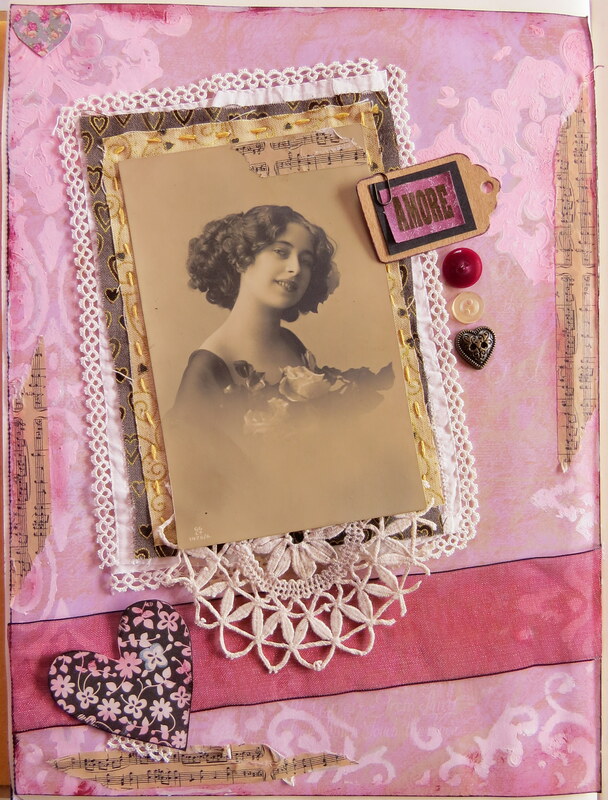 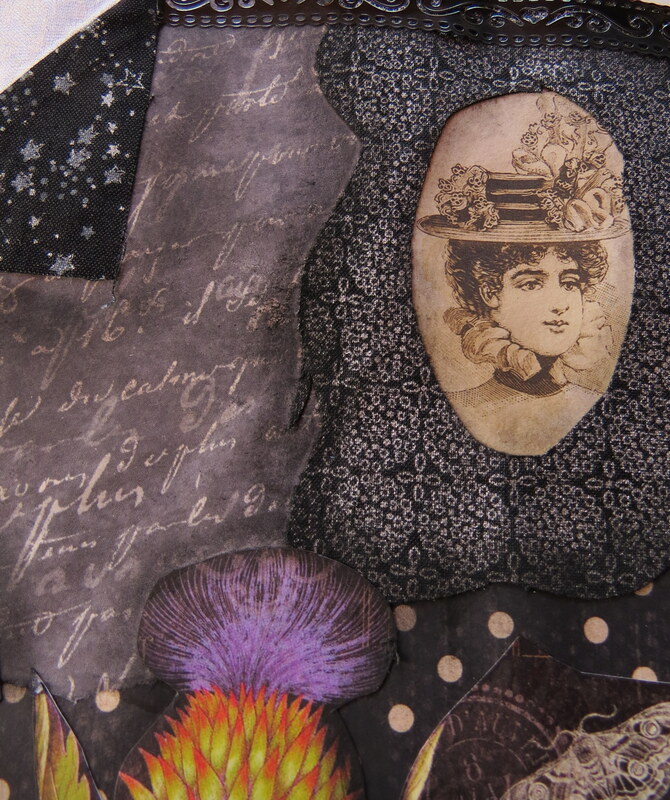 I began by layering and handstitching together pretty fabrics and lace as a frame for the postcard. 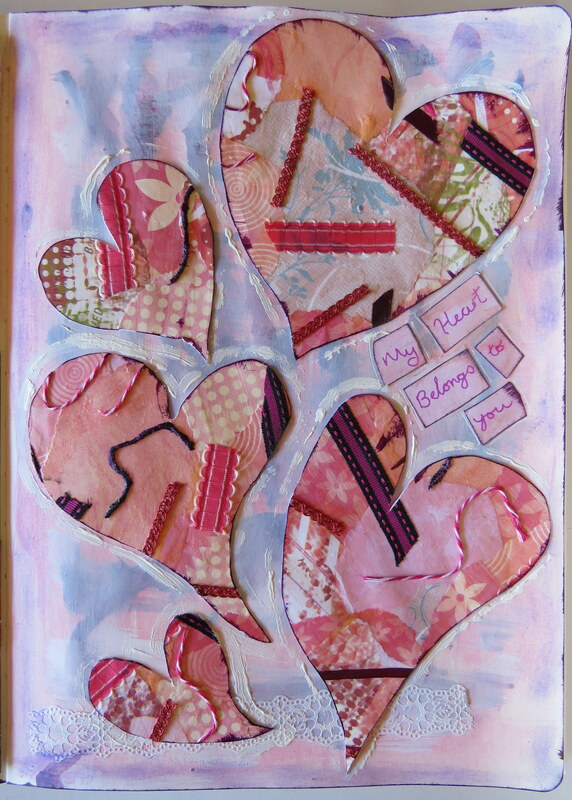 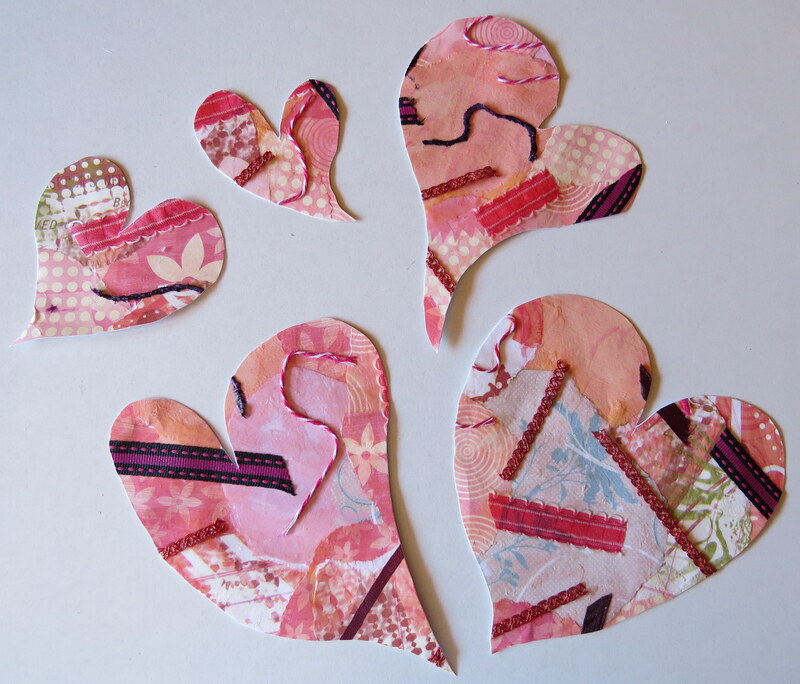 For the background I did some stenciling, inked around the edges of the page, then added some washi tape, buttons, ribbon and paper hearts. 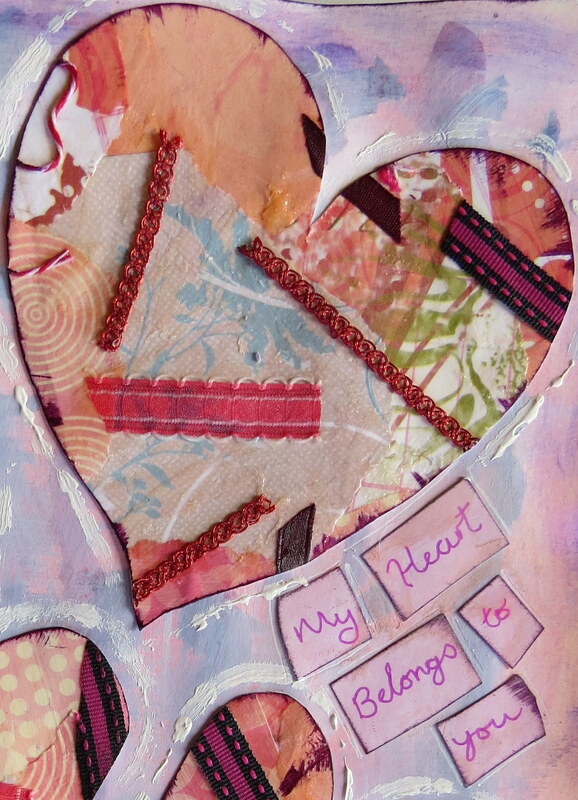 A little tag with a sentiment and a tiny paperclip finished it off.